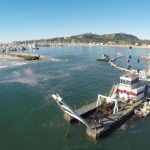 Pi Environmental, LLC, a small, woman-owned business located in San Marcos, California, is an industry leader in providing comprehensive marine scientific support. Our focus is on client satisfaction, first and foremost. This begins with sound consultation from experienced scientists and designers, and culminates in the effective and sustainable long-term management of environmental resources for our clients. We provide environmental consultation to public and private clients such as ports, local and federal government, environmental non-profits, and construction firms. New SLBE / ELBE and WBE Certifications! 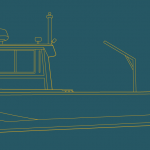 Check out our new Vessels page! Pi scientists have been collecting sediment samples for infaunal, chemical, and physical characterization in California for over a decade. Pi Environmental is a leader in marine water quality data collection, with the equipment and experience to implement virtually any type of water quality program. For almost two decades, Pi scientists have been providing scientifically sound biological services using industry leading methods. Pi graphic artists enhance documents with illustrations and diagrams, and reach audiences with outreach materials and interpretive media. Copyright © 2015 - 2019 Pi Environmental, LLC. All rights reserved. All photographs and illustrations on this web site are owned by Pi Environmental, LLC and may not be used without permission.